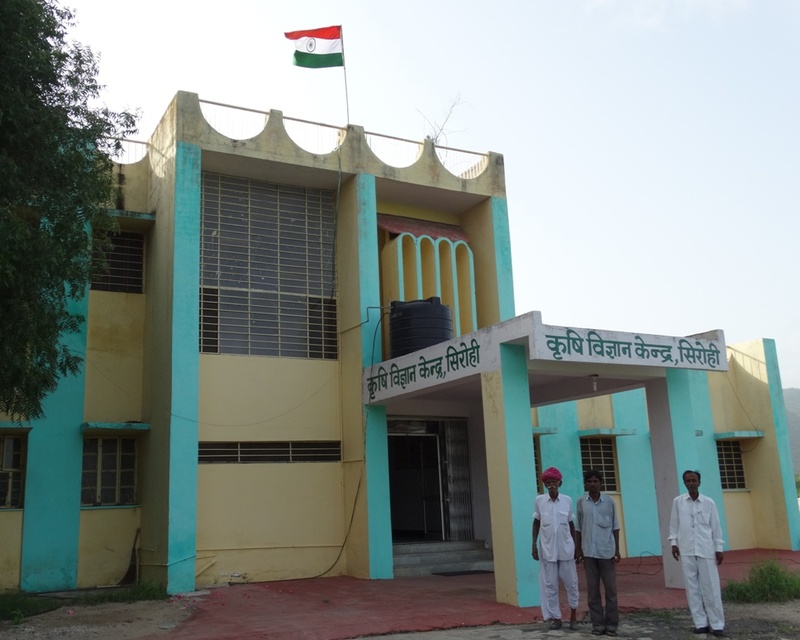 Krishi Vigyan Kendra, Sirohi is an extension based grass root level institute established on 1989 by the Indian Council of Agricultural Research under the auspices of Agriculture University, Jodhpur, Rajasthan, to promote farmers for adoption of latest technical know-how in agriculture and allied fields. It aims sustainable growth in productivity and income of agriculture by bridging the time lag between technology generation at the research institution and its transfer to the farmer’s field. 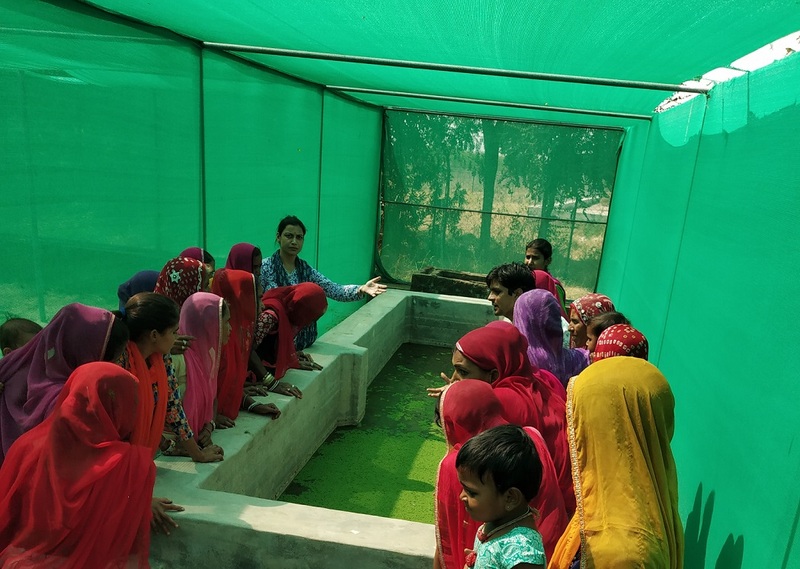 KVK has multidisciplinary team of subject matter specialists, who work enthusiastically in missionary spirit for imparting skill oriented vocational trainings for farmers, farm women, rural youth & extension functionaries to update them with latest and proven agricultural research. It also involves in assessment of locally specific technologies and acting as feedback mechanism for research work. KVK is situated at Ambeshwar temple, Sirohi on Pali road 8 km away from District Headquarter and linked with National Highway 14. 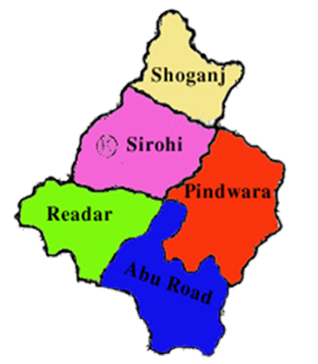 Operational area of KVK Sirohi is as showing in the above map. Front-line demonstrations to establish production potential of technologies on the farmers’ fields. To increase the productivity of commercial crops viz. castor, cotton, fennel and mustard. 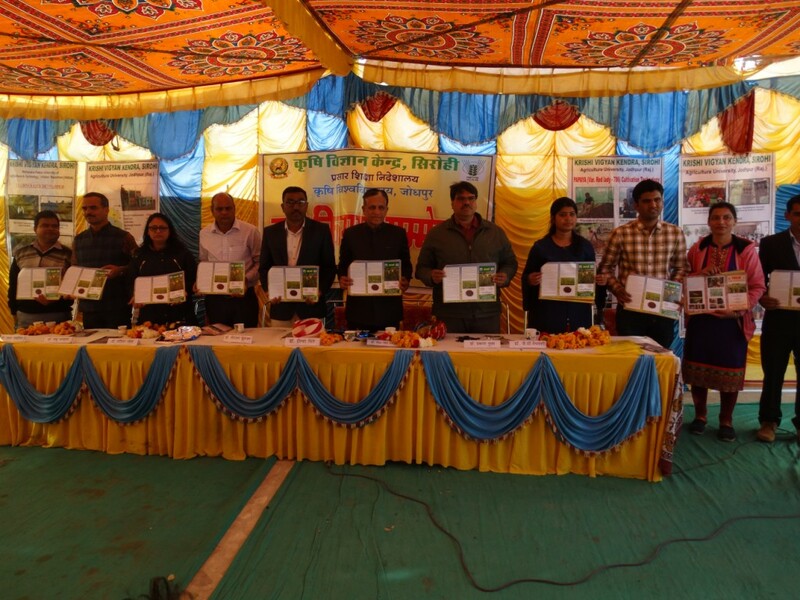 Promotion of dual-purpose breed of goat (Sirohi) and improvement in local breed of cow and buffaloes through scientific breeding, Artificial Insemination (AI), feeding and management. 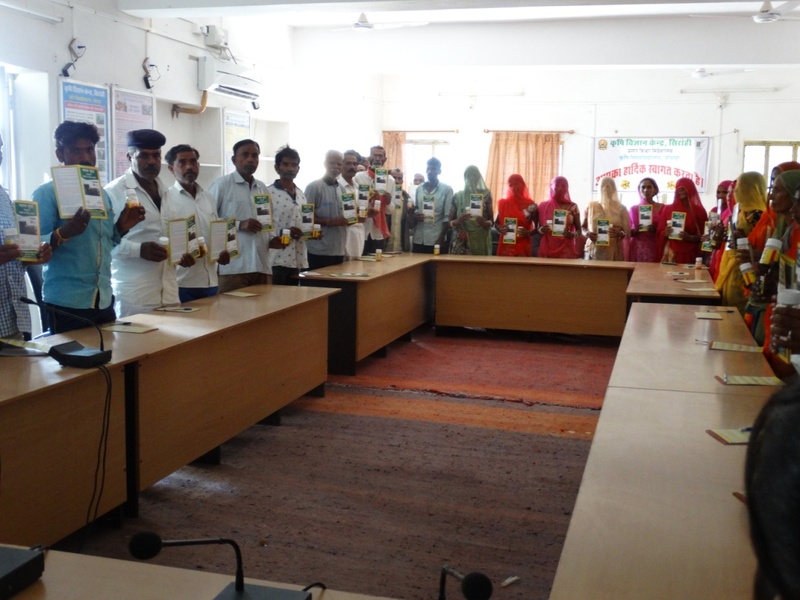 Promotion of dry land farming technologies in watershed areas of the district. Diversification of existing cropping pattern by expanding area under horticulture like mango, papaya, lime and ber in fruits, tomato and chillies in vegetables, fennel and cumin in spices. Introduction to drudgery reducing measures in agriculture and animal husbandry activities especially for women. Improvement in health, hygiene and nutrition status of rural families and formation of Self Help Groups. Organize vocational training’s for rural youths on dairy management, cutting and tailoring, nursery raising and Repair and maintenance of pump set, diesel engine and tractor etc. Overall development of tribal farmers.